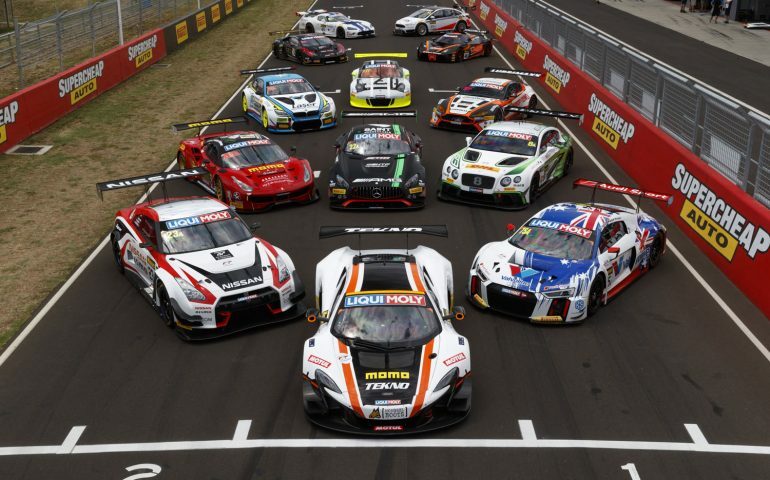 THE FIELD assembling for the 2018 Liqui-Moly Bathurst 12 Hour currently stands at more than 40 cars, representing 12 different brands. Teams from Australia, Asia, New Zealand, Europe and the USA are already entered – with more to come prior to entries closing on December 15. It proves the Mountain will again roar to the sights and sounds of a world-class field of vehicles and another intensely competitive race. While the outright (Class A Pro, Pro/Am and Am) GT3 category is again expected showcase a remarkable depth of competition and a variety of teams, drivers and manufacturers, growth in the class battles is also a feature. 5 GT4 cars are already confirmed in the rapidly growing sector for the more production-based GT vehicles, while the invitational class continues to boom, with the endurance specials that are its backbone expected to again be one of the fan favourites and most hotly contested classes. Early bird entries close at Midnight this Saturday (September 30). “Early interest has been great and we already have the makings of another world-class field for 2018,” Event Director John Casey said. “There are more than 40 cars locked in already, including some that we know will surprise people when they are announced. “Several major outfits are close to firming their plans and rolling out their announcements over the coming weeks. Event organisers have also confirmed a strong response to camping and ticket sales, with camp site sales already up 40% on 2017 and the McPhillamy Park and Paddock campgrounds already sold out. Sites remain in the Reid & Sulman Park campgrounds, as well as the Tent City ‘Glamping’ experience located at the top of the Mountain. Grandstand sales are strong with fans encouraged to book their seat soon to avoid disappointment.